A modern and fresh take on a sleeveless vest. 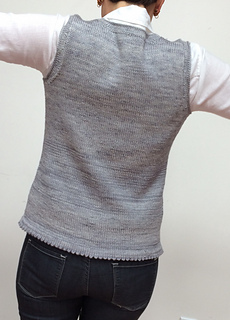 Chic and easy to wear the simplicity of the vest shows off the beauty of hand painted Artfil yarn to its best advantage. An easy knit it uses the same needle size and stocking stitch throughout.